Reservation 113 at the intersection of Maryland and Virginia Avenues. Independence Quarter: A mixed-use community anchored by a national museum and a new headquarters for the U.S. Department of Energy. 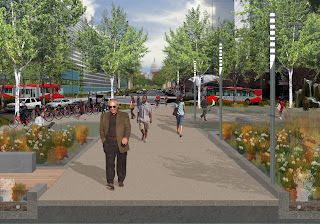 Maryland Avenue: An urban boulevard centered on a signature park and an expanded L'Enfant Station intermodal center. 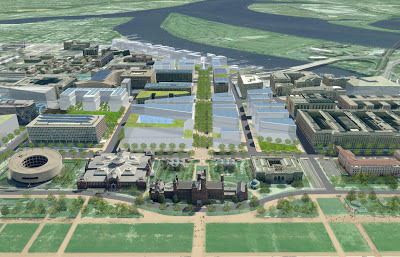 10th Street and Banneker Park: An inviting civic corridor connecting the National Mall and Smithsonian Museums to the southwest waterfront, anchored by an improved Banneker Park, nationally significant cultural destination. 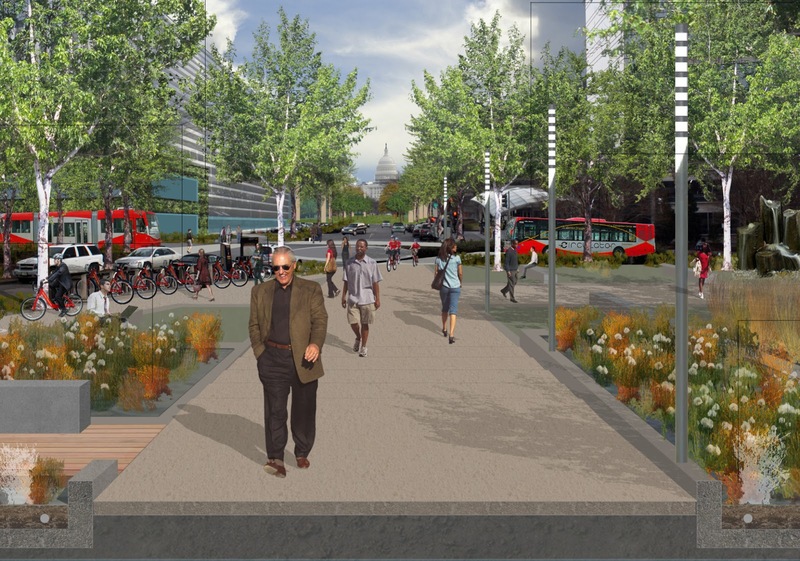 Southwest Freeway: A private mixed-use development atop the Southwest Freeway will support new connections between existing Southwest neighborhoods, the SW Ecodistrict, and the National Mall. View of a redeveloped Banneker Park from Maine Avenue. 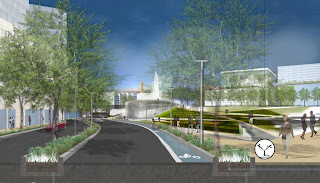 Although the time frame for implementation of the plan (especially the SW Freeway portion) will be decades, a portion of the plan is already in motion. 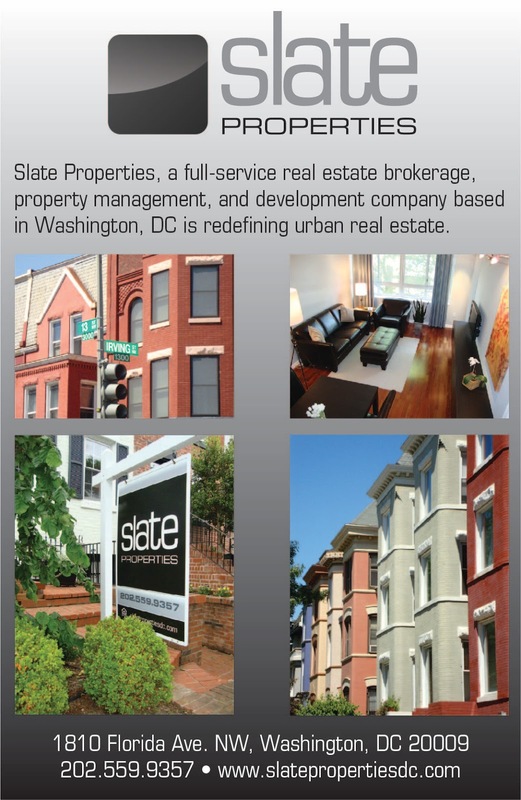 The General Services Administration (GSA), the largest landlord in the study area, has recently released a Request for Information (RFI) to developers to partner with the GSA to redevelop several parcels it owns in Independence Quarter (or Federal Center South as the real estate agency calls it), including the Forrestal Complex, Cotton Annex, the Wilbur and Orville Wright FAA buildings, and GSA's regional office building. 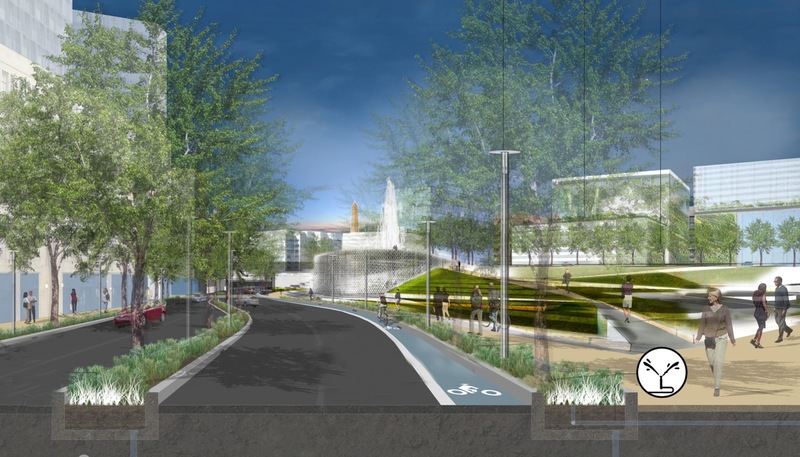 Other short-term actions will include an economic analysis, an implementation program, a stormwater infrastructure study, and an interim 10th Street/Banneker connection. The full plan is available here and previous posts on the plan can be found here. Ridiculous. A project this size could easily be completed in 5 years or less, not 20. This is government inefficiency at its worst.